The former British capital of India boasts of an illustrious past which reflects through the fascinating art, marvellous architecture, and declamatory literature of the city. Being the cultural and intellectual hub of India, this vibrant city invites you to witness its artistic grandeur, dazzling culture, and literary legacy through an exhilarating Kolkata sightseeing tour. Apart from its rich history, and ancient culture, here are some of the best places to visit in Kolkata which form an essential part of the city’s tourism. 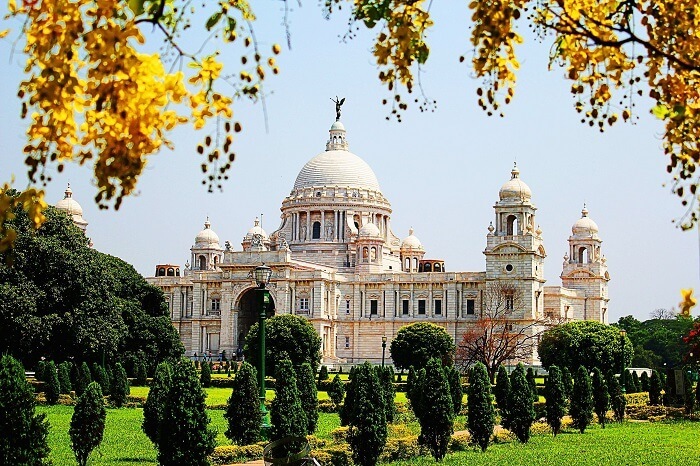 Spread over 57 acres of land, housing 21 lush green gardens, 28,394 artefacts, and 3,900 artistic paintings, Victoria memorial is one of the best places to visit in Kolkata. Built in the memory of Queen Victoria, this white marble beauty is a host to 20 lakhs annual visitors. 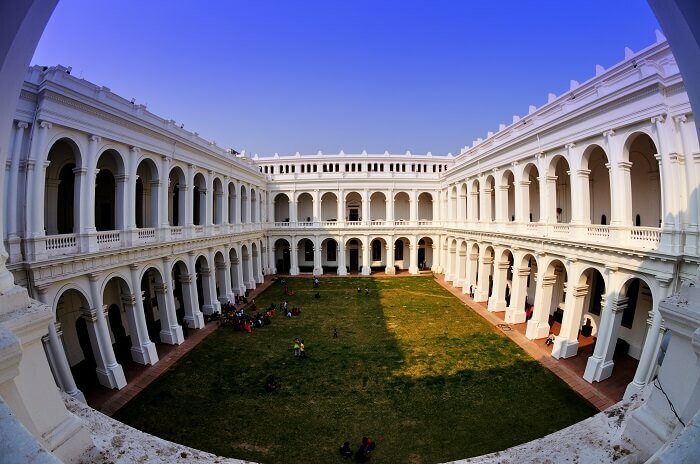 Situated on the eastern banks of Hooghly river, Fort Williams is a huge building from the colonial era that has served multiple purposes till date. It is one of the few Kolkata points of interest which is a must visit place during your Kolkata sightseeing tour. Known as the ‘black hole of Calcutta’, this place was once a temporary jail where prisoners were hauled, but now it serves as the headquarters of the Eastern Command. 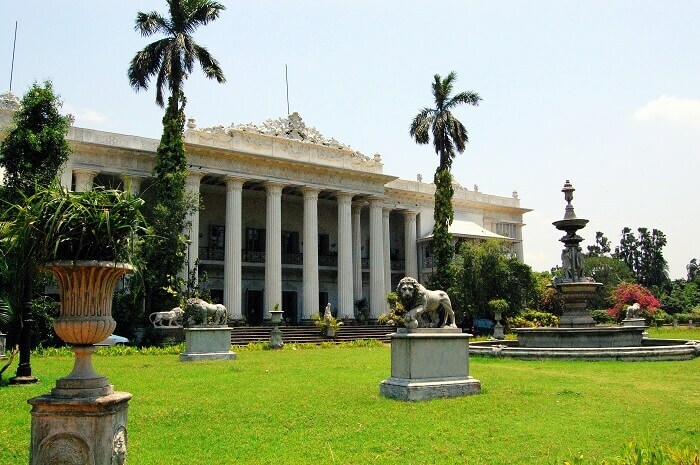 This nineteenth century palatial mansion in North Kolkata, is one of the most visited tourist places in Kolkata. It is one of the best restored royal family palaces in India that boasts of artistic statues, elegant glassware, and noteworthy paintings of illustrious artists of the British Raj. A Kolkata sightseeing tour is truly incomplete without visiting the ‘Harbour Bridge of India’, the Howrah Bridge. 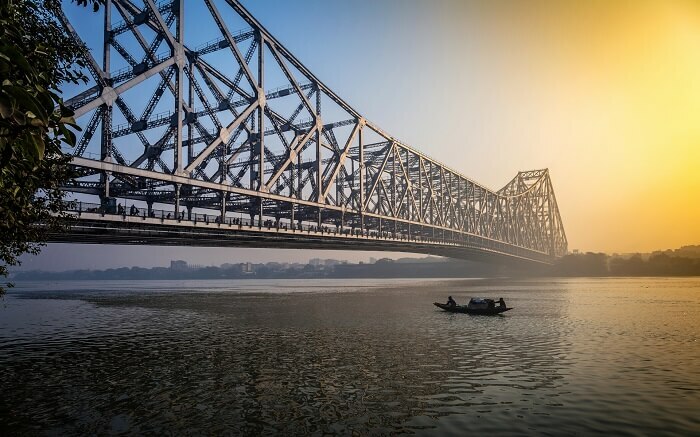 Titled as the ‘oldest but the busiest’ place in Kolkata, the Howrah Bridge was built over the Hooghly river to ensure connectivity between the two major cities of Kolkata and Howrah. 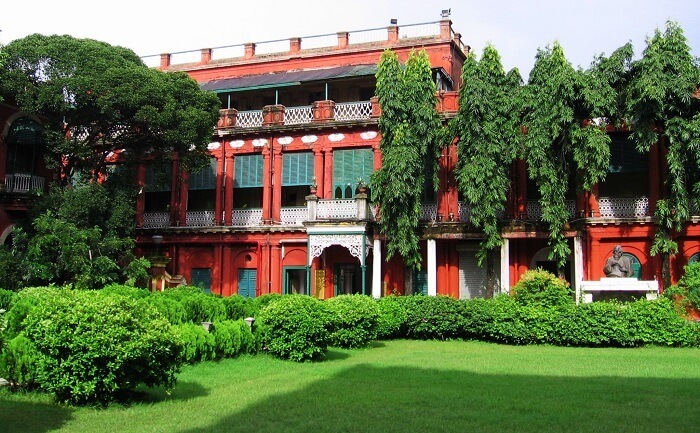 Known as the ‘Jorasanko Thakur Bari’, Tagore’s house is one of the most important historical places in Kolkata. The former residence of India’s most renowned literaries, Rabindranath Tagore, is now converted into a museum which houses a photo gallery, fascinating paintings, and Tagore’s literary works. The most famous Kolkata tourist spot, Sunderbans is one of the natural wonders of the world. Listed as a UNESCO World Heritage Site, Sunderbans is a part of the world’s largest delta formed by the Ganges, Brahmaputra, and Meghna. It is also the largest Tiger reserve, and national park in India. Previously known as Dhakuria lake, Rabindra Sarovar is an artificial lake in Kolkata. It is one of the best places to visit in Kolkata if you are looking for a quiet, and peaceful time. Every morning one would find numerous people jogging, or walking along the shores of the lake. 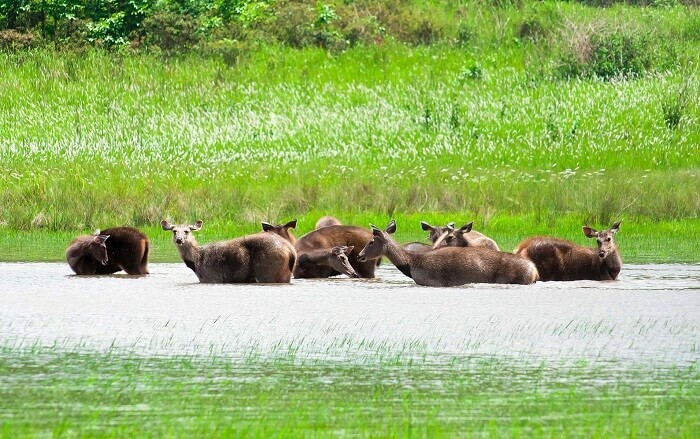 It is also a perfect spot for nature admirers who wish to get close to the beauty of nature. Located along the western banks of River Ganga, Botanical Garden is a 273 acre garden known for its extensive floral diversity. Housing more than 12,000 different species of plants, it is one of the most beautiful places to see in Kolkata for travelers who wish to witness the mesmerising beauty of nature. Spread across a huge 75,000 square feet area. Aquatica is one of the largest water amusement parks in Eastern India. 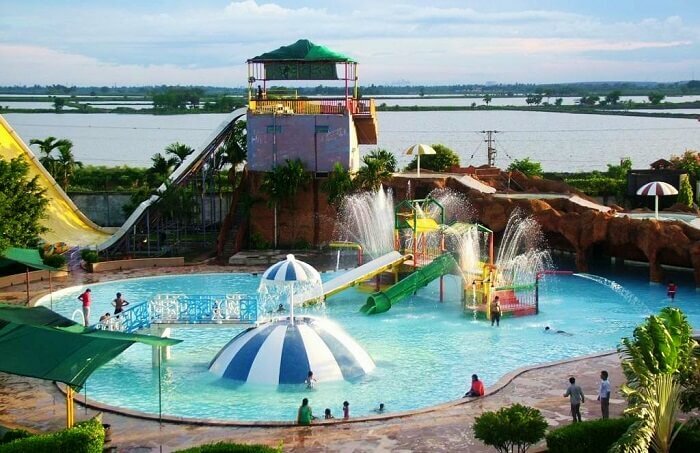 For people who seek light hearted adventure along with some fun filled activities, Aquatica is one of the best places to visit in Kolkata with friends where one can enjoy numerous thrilling rides and activities. 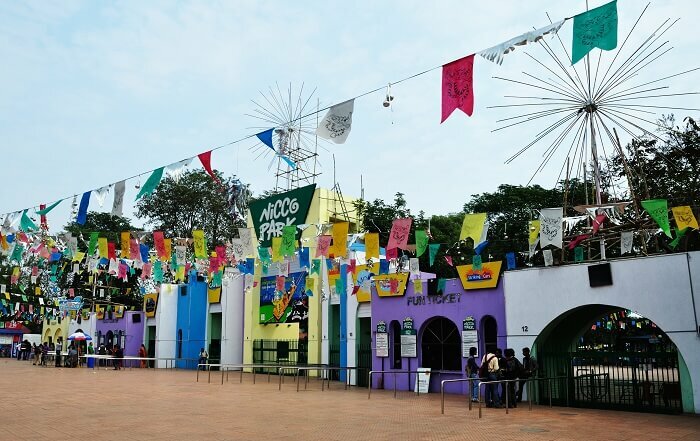 One of the best places to visit in Kolkata, Nicco Park is an exhilarating amusement park developed for the sole purpose of recreational activities for families. 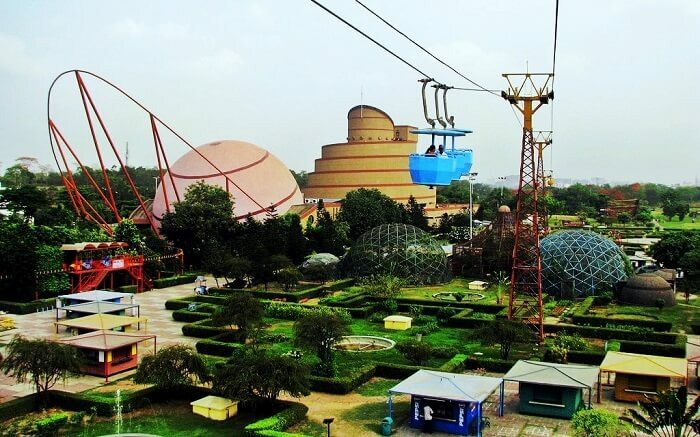 It is one of the oldest amusement parks in Kolkata that houses various adventurous, and fun filled rides for children as well as adults where they can spend some rejuvenating time with their families. 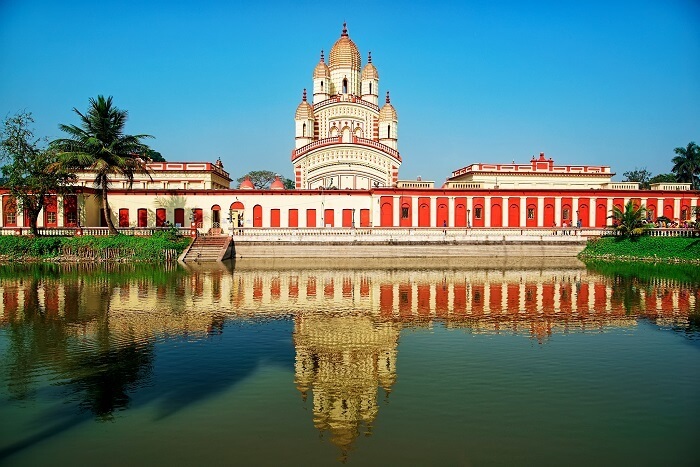 Located in the Dakshineswar town of Kolkata, the Dakshineswar Kali Temple is a popular pilgrimage site dedicated to Goddess Kali. It is one of the must visit places to visit in Kolkata in one day as one cannot afford to miss out on this architectural masterpiece which is also considered as one of the holiest places in the city. Seek blessings from Goddess Kali during your trip to Kolkata when you visit the mystical Kali Temple. It is one of the best places to visit in Kolkata to get familiar with the culture, traditions, and religious beliefs of the people of this beautiful city. 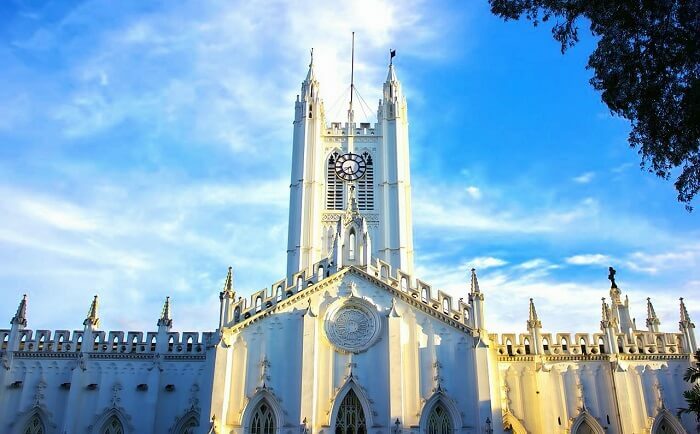 Known for its Gothic style of architecture, St. Paul’s Cathedral is the largest cathedral in Kolkata. Resembling closely to Norwich Cathedral,St Paul’s Cathedral is also one of the best places to visit in Kolkata for people seeking a religious tour. 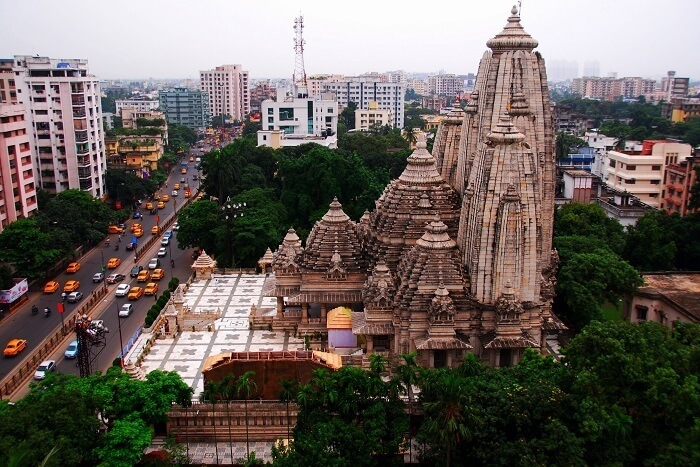 Built by the renowned Birla family, Birla Mandir is a famous Hindu Temple in Kolkata known for its magnificent architecture. 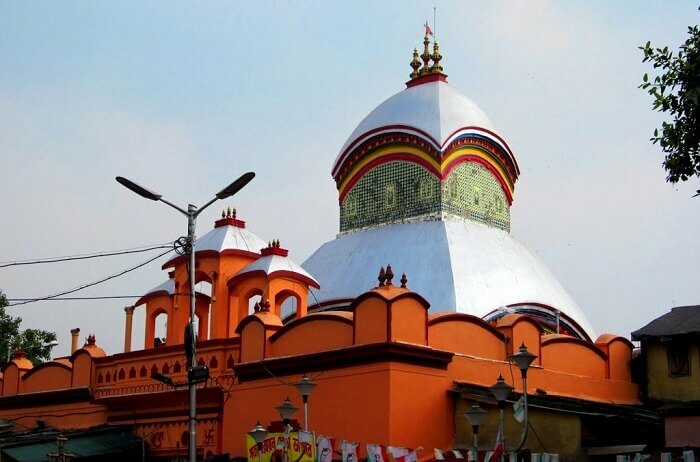 This temple is an epitome of craftsmanship that is a product of amalgamation of traditional, and contemporary art, and is also one of the best places to visit in Kolkata. 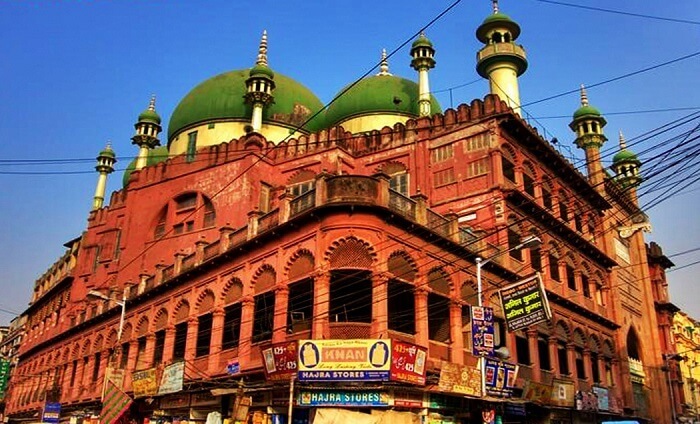 Nakhoda Mosque is the largest mosque in the city of Kolkata, and hence, a popular worship place of the Muslims. Owing to its colossal size, Nakhoda Mosque is a prime tourist attraction, and one of the best places to visit in Kolkata. Witness the charm of the glorious country of India the oldest, and the largest museum in India, the Indian Museum. It is one of the best places to visit in Kolkata for youngsters where they can gain insights to the rich traditional, and cultural heritage of their country. 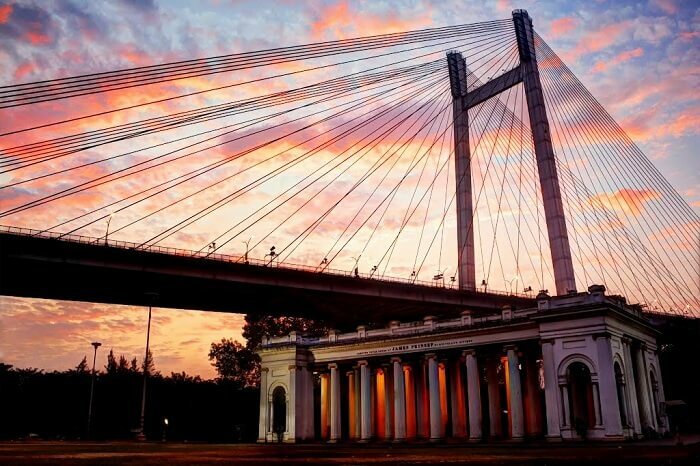 Built along the banks of the Hooghly river, during the British rule, Prinsep Ghat is a memorial inspired by Greek, and Gothic styles of architecture. It is one of the best places to visit in Kolkata at night as the setu becomes totally lit with dazzling lighting throughout the place. 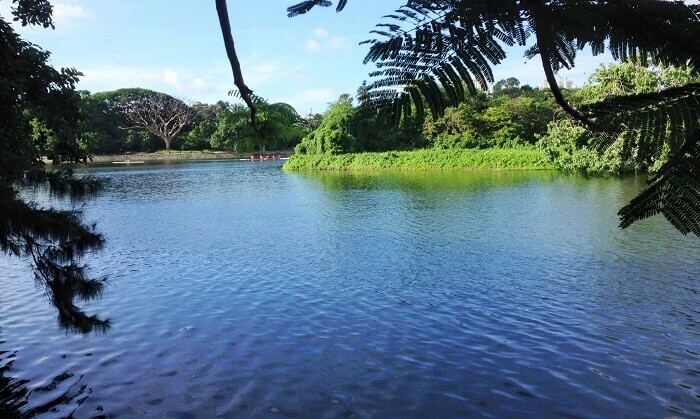 It is also a popular picnic spot where people can spend quality time with their family. 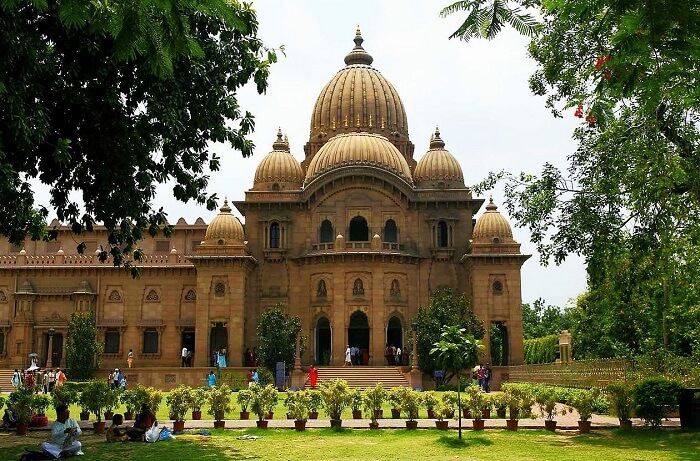 Belur Math is an important pilgrimage site, and the headquarters of Ramakrishna Math and Mission. 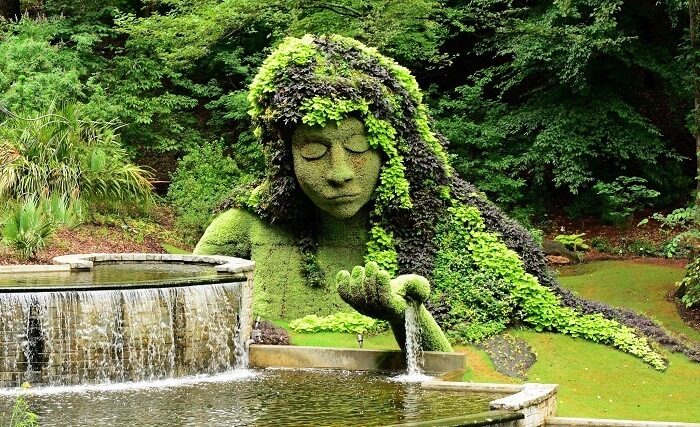 It is one of the best places to visit in Kolkata for people who wish to seek inner peace. The tranquil surroundings, and architectural creativity make this place a hotspot of Kolkata tourism. Take some time to visit the architectural wonder of the Science City, which is the largest science centre throughout India. Housing a Space Odyssey, Dynamotion, Evolution Park Theme Tour, Maritime Centre, and Earth Exploration Hall, it is one of the best places to visit in Kolkata in terms of technology, and architecture. 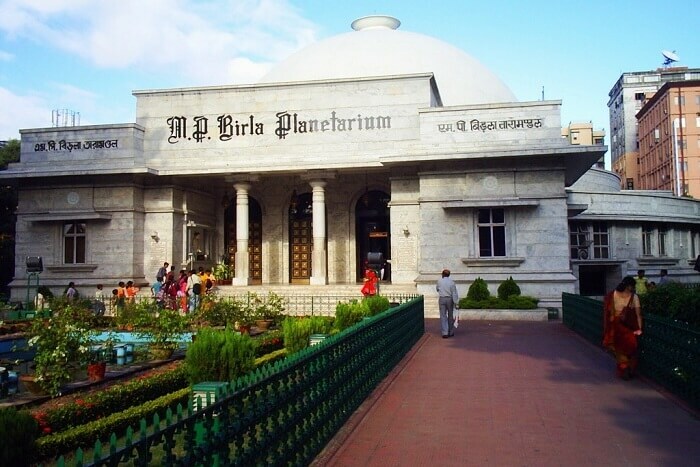 Birla Planetarium is a circular shaped structure designed on the lines of Buddhist Stupa and Sanchi styles. It is one of the most attractive places to see in Kolkata not only for its architecture but also for its sky show which is screened everyday. This show depicts various aspects of astronomy, and heavenly myths, thus imparting knowledge about the various characteristics of the night sky.